In order to commemorate and mark the centenary celebration of the late Marshal of the Indian Air Force, Arjan Singh DFC, Air Force Station, Mohanbari has organized a half marathon in dibrugarh of Assam on Sunday. 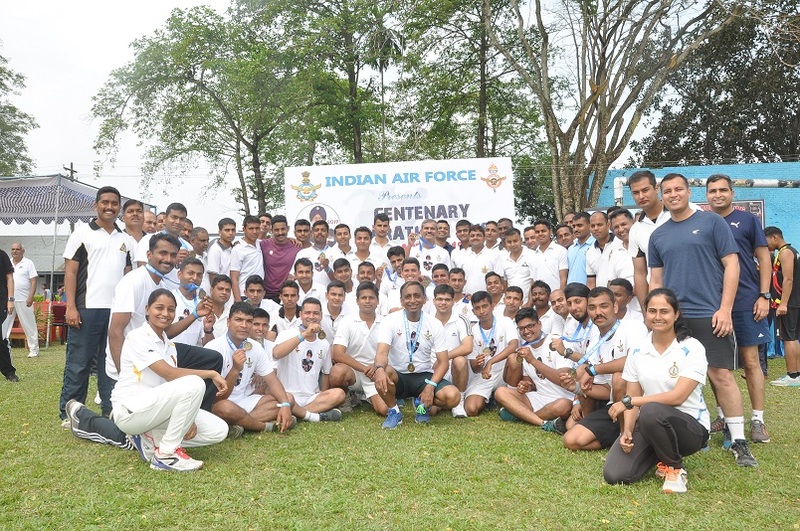 The run of 21 km named as ‘Centenary Run’ on the eve of the birth centenary of the Late Marshal of IAF was flagged by the Stn Cdr Air Force Station Mohanbari. A total of 466 air warriors participated enthusiastically in the ‘Centenary Run’. The run was conducted to propagate the accomplishments and to pay rich tribute to the legendary Marshal of the IAF among all Air Force personnel. Stn Cdr Air Force Station Mohanbari emphasized to rank and file of the station to emulate the footprints set by the MIAF and follow his four simple rules in our daily life, that is firstly we should be thorough in our profession; secondly, we should complete the job at hand to the satisfaction of everyone; thirdly, we must have implicit faith in our subordinates; and lastly, our efforts should be honest and sincere. If we follow these four principles, we would never be wrong. Stn Cdr motivated air warriors to inculcate camaraderie and sportsmanship attributes. Stn Cdr also emphasized the importance of adopting a healthy life style and encouraged the air warriors towards fitness and sports activities. All the air warriors took pledge to leave no stone unturned to carry on with the legacy of the Marshal of the Indian Air Force, Arjan Singh DFC for the glory of Indian Air Force.